If the chart is in CSS Mode ( The Look & Feel > Background Type is set to CSS ) then changing the background colour requires the following steps. 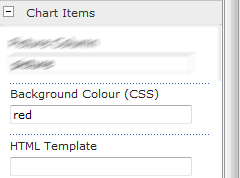 Once the Background Type has been changed to CSS by setting the property in the Look & Feel configuration section the colour of the background can be easily changed by setting the Background Colour (CSS) property that is found in both the Chart Items and Assistant Items configuration section. 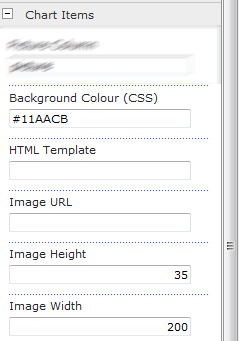 Changing the Width and Height of a CSS background. The width and height of each chart box change changed by setting the Customer Box Width and Customer Box Height properties found in both the Chart Items and Assistant Items configuration section.